We have a launch date! published on February 26, 2016 Read more posts by the author of We have a launch date!, Heather GilbraithNo Comments on We have a launch date! So I bet you’re all wondering when this comic is going to launch, huh? Well, it’s your lucky day, ‘cos we have an answer! 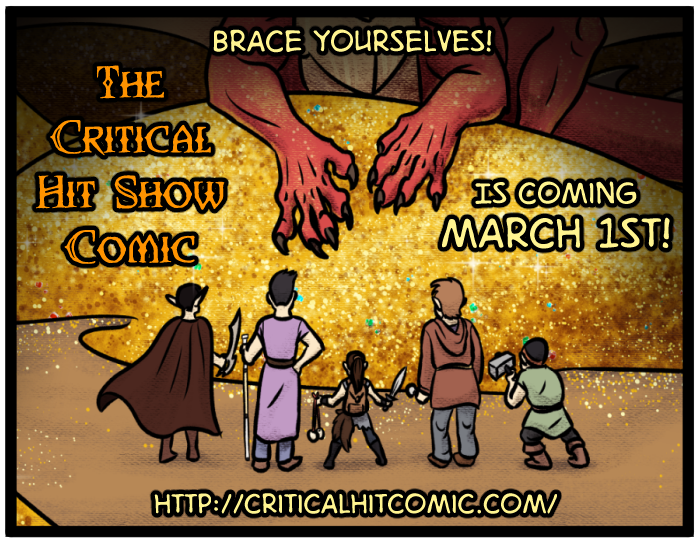 Mark it down on your calendars, or follow the Critical Hit Show on social media if you want updates!